Andreas Englund was born in Falun in 1974, Sweden. 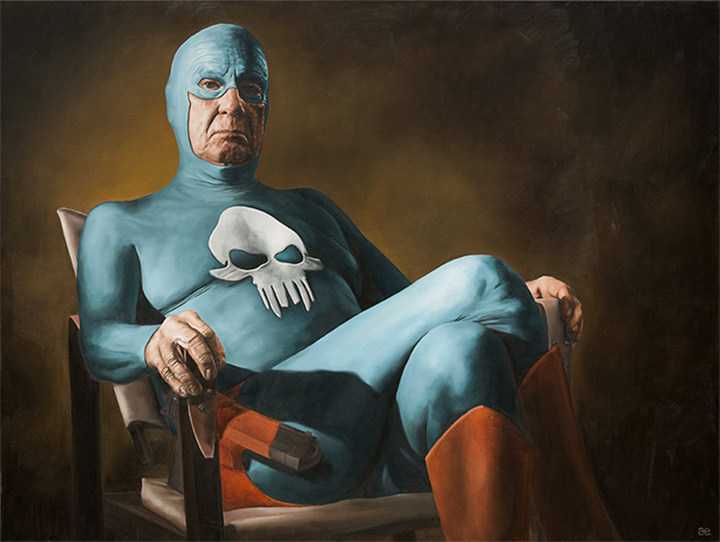 Based in Stockholm, he is mostly recognised for the photo realistic and humoristic oil paintings depicting the everyday life of an anonymous superhero. The series ranges from the superhero’s first mission as a toddler to being an old man, still struggling with everyday trivialities.